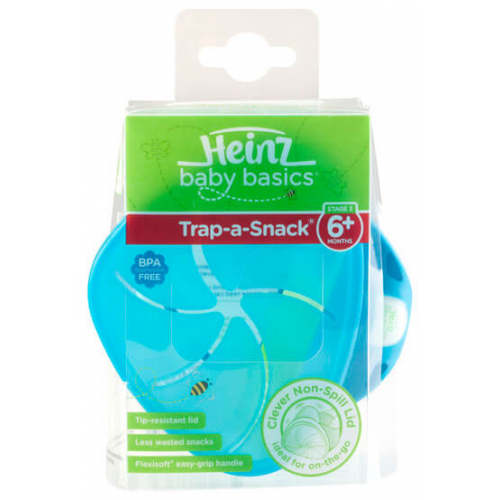 Heinz Baby Basics Trap a Snack minimises wasted snacks with the Heinz Baby Basics Trap a Snack! 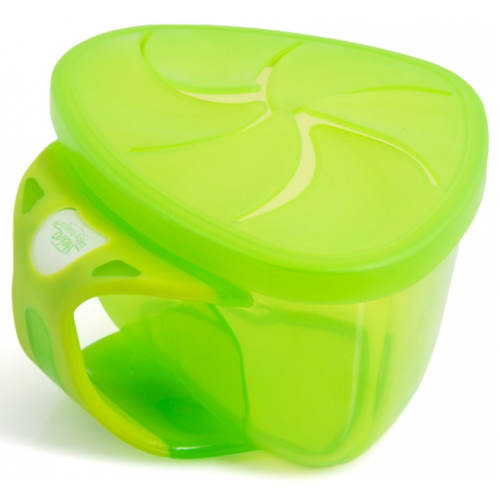 An innovative, tip-resistant cup that allows your little one to feed themselves while preventing spills and mess. 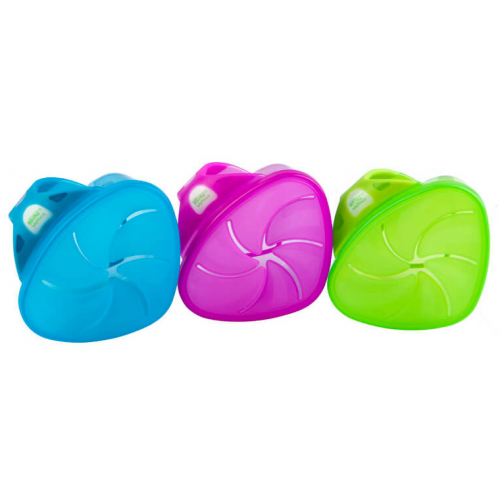 The clever soft flap lid automatically closes when your little one removes their hand, trapping food in – ideal for in the car or on the go!